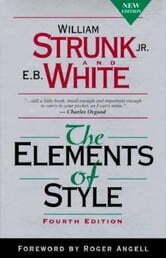 The Elements of Style is a prescriptive American English writing style guide in numerous editions. The original was composed by William Strunk Jr., in 1918, and published by Harcourt, in 1920, comprising eight "elementary rules of usage", ten "elementary principles of composition", "a few matters of form", a list of 49 "words and expressions commonly misused", and a list of 57 "words often misspelled". E. B. White greatly enlarged and revised the book for publication by Macmillan in 1959. 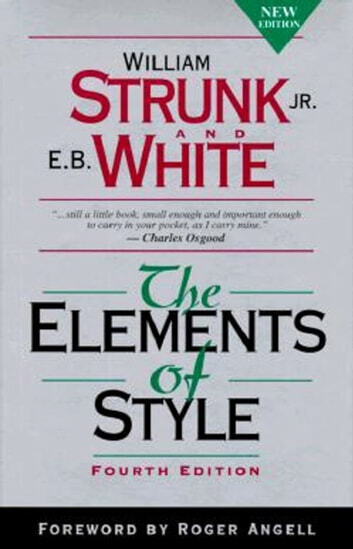 That was the first edition of the so-called "Strunk & White", which Time named in 2011 as one of the 100 best and most influential books written in English since 1923. More By William Strunk, Jr.